And you could also ask, “What do they NOT want to see?” Then, start your to-do list (which will start with a thorough clean)! But I would suggest taking it a step further and anticipating the ideal lifestyle that you think YOUR buyer wants to have as it specifically relates to the kitchen. Who are your buyers most likely to be and how would they want to use the kitchen? Will it be a busy large family gathering area for quick meals before everyone heads off in their own direction? Will it be for adult entertaining while the novice chef creates magic for friends?Will it be for empty nesters who are focused on a healthy and active lifestyle? Stage a kitchen by adding lifestyle elements that match what they want to do AND how they want to feel in the space. Some of my favourite props to include when I stage a kitchen for my clients are canisters, cookbooks, and flavoured oils in decorative decanters. They add a pop of colour and some life to what should be a clean and uncluttered countertop, and they also suggest the lifestyle element of the person who will use the space. Create connection and impact. 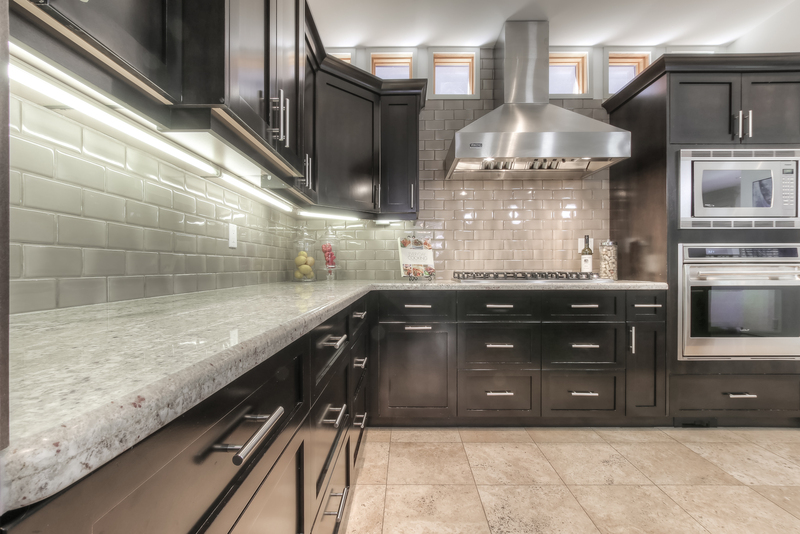 Stage a kitchen to speak to YOUR potential buyer. Want some behind the scenes glimpses of this Calgary stager’s life and find out a little more about me? Come say Hi on Instagram @elysseb and I’ll chat with you there.